If you're a parent, your children's education is doubtless one of the most all-encompassing worries you'll ever have, no matter where you are or what you do. Planning for their continuing education while you're travelling abroad on a career break may seem like a difficult task, but it doesn't have to be. Getting a realistic budget together before you go can make things a lot easier. If possible, decide in advance which schools your children will be attending. You may prefer to send them to a state school, especially if they are young, where they will be studying in a foreign language and adapting to a new curriculum and new style of learning. State schools are usually free or affordable, and your children will benefit from learning about a new culture. Be prepared for the possibility that you may have to pay for extra tutoring when they get back to the UK so they can get up to date with the British National Curriculum. British schools abroad that teach the British National Curriculum are often oversubscribed and pricey, but for many people it's the only option. Find out what is available in your area before you take the plunge. International Schools are often even more expensive, so find out what's in your area as soon as possible, and go from there. Some parents decide that boarding school is what they want, especially if they are travelling to a dangerous country, an area devoid of good schools, or if they will not be staying in one place for long. Costs for this vary greatly, so decide what your budget is and seek out options that fit within your framework. 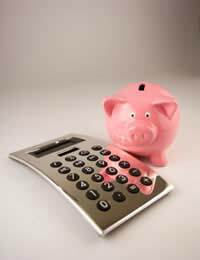 Decide in advance how much you can afford - a chat with a financial adviser may be helpful. Some parents may discover that sending their children to a British or international is worth a bit of a sacrifice. If that's the case, plan carefully for how you can afford this added expenditure, whether it'll mean taking out a second mortgage, borrowing from the bank or asking grandparents to lend a hand. How long will you be abroad? If you will be abroad several years or more, you may decide that sending your child to a local school and immersing them in a foreign language is a good thing, helping to provide a competitive edge in future. If you will be away for just a few months in a country where the language is different, sending your kids to a foreign school may not be worth it. How old are your children? Younger kids are more adaptable, both to foreign languages and unfamiliar styles of learning. Teenagers probably find it the most difficult to adapt. Keep this in mind when deciding on a school. Are your children outgoing or shy and retiring? Every child has a unique personality, and some schools may work better for some than for others. A foreign school may put undue stress on a timid child, and may not be worth it if you will only be abroad for a short period of time. Conversely, outgoing kids may thrive in a new and exciting environment. An education costs money, and school fees don't cover everything. Additional expenses will be involved even if your child attends a local state school. Will your child need transport to school? Will they require a uniform? Will you be asked to provide a lunch, or are hot lunches provided? Are there many extra-curricular activities which will require payment? If you have children of pre-school age, you also need to think about whether you'll require the services of a nanny or child-minder, or whether your children will be attending nursery, either full or part-time. Going on a career break may initially appear to be the opportunity to leave all your cares behind, but the reality is a bit different. Budgeting for your child's education is only one of the many expenses you'll encounter moving your family from one country to another. Attending local schools may be the most affordable – and in some cases the best – option. But if that doesn't appeal, for whatever reason, and you're on a shoestring budget, you may want to either take out a loan beforehand, apply for a mortgage holiday or dig into your savings. With a little research and a lot of forethought, you are sure to come to a decision that's best for both your child and your wallet.